Back in the day, snowmobiles changed the way people enjoyed the outdoors once the white stuff started falling. Now, converted off-road motorcycles are bringing a new twist to winter powersports. 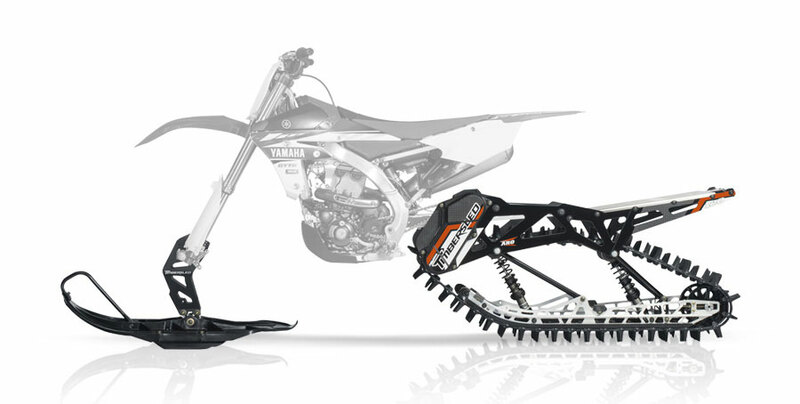 Take a look at what goes into building high-performance snow bikes. Unless you’re a sunbelt resident, motorsports tends to be a seasonal thing. The arrival of pumpkin spice everything each fall signals that it’s time to winterize all the summer toys - the wakeboard boat, the UTVs and quads, and even your convertible. That’s when the salt car with the snow tires comes out, and, if you’ve got the wherewithal, the snowmobiles get tuned up and ready to rock. 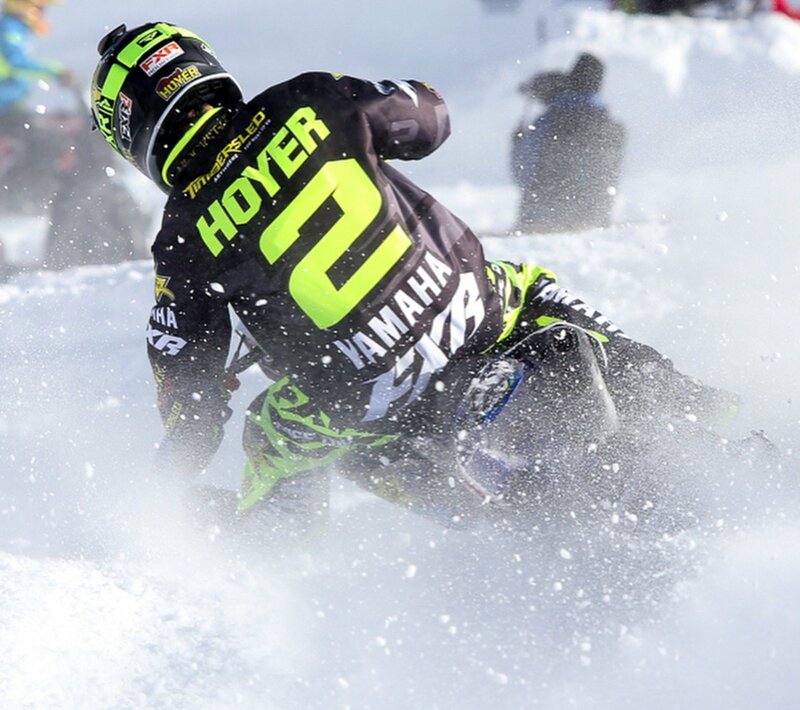 Over the last few years, though, the popularity of “snow bikes,” motocross-style cycles with ski and track conversions, has soared. It certainly didn’t hurt that Snow Bike competition made its X Games debut in 2017 at Aspen, and now these nimble, powerful winter rides are showing up everywhere there’s powder. To get a closer look at this burgeoning powersport, we talked to Junior Jackson at Junior Jackson racing, and he gave us a full education on the machines that make year-round roosting a reality. “It basically starts with a 450 you buy out of the dealership, and then you get what’s called a 'Timbersled,' which is a kit that comes with a ski and a track with suspension, so you basically eliminate your swingarm and front wheel, and the track system has its own suspension,” Jackson explains. Timbersled kits replace your rear wheel and swingarm with a complete track system, and replace your front wheel with a ski. There are actually several companies making snow bike conversion parts - Timbersled is an industry leader, and is so strong in the market that Polaris bought the brand in 2015 - but they all follow a similar pattern. 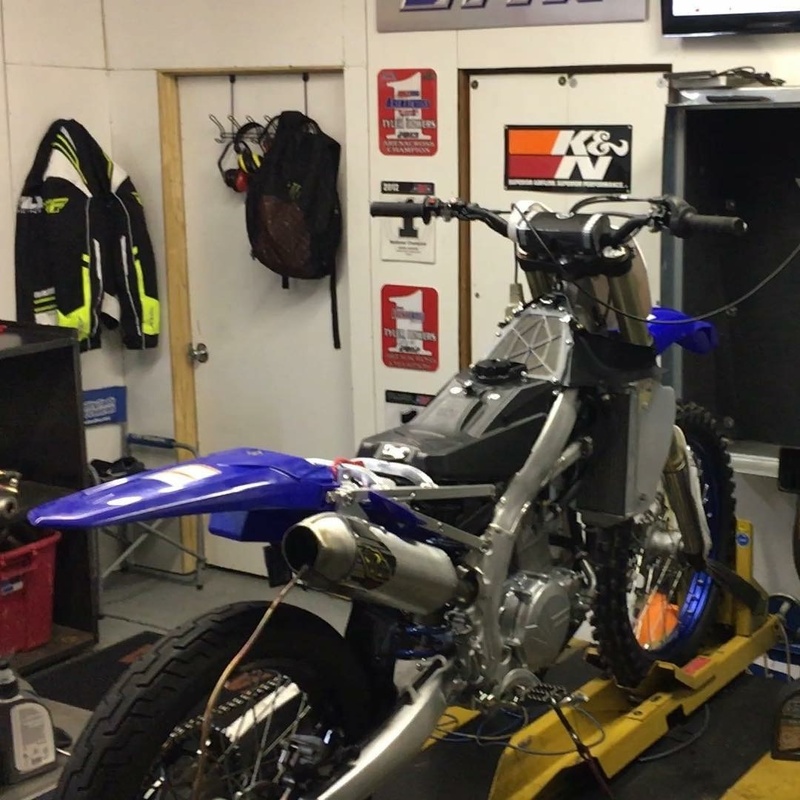 Start with a big-displacement 4-stroke off-road bike; per Jackson, “Yamaha, KTM, Honda, and Husky are the main ones,” then add a conversion kit. Up front, the wheel is replaced with a ski, and in back a track drive assembly substitutes for the swingarm and rear wheel. The Timbersled kit uses a shielded brake system and a chain/sprocket drive system. 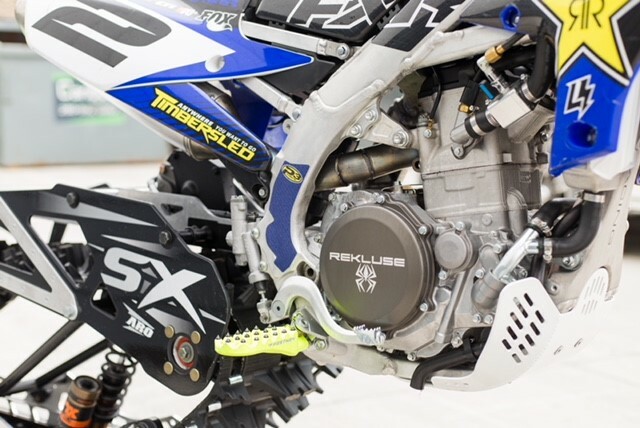 Timbersled claims that it’s possible to convert a dirt bike over from tires to tracks (or vice versa) in less than three hours, and the total cost of a kit is just a fraction of what a new snowmobile will run. Combine that with the nimble nature of a dirt bike, and there’s a whole new world of winter recreational possibilities. Many of Junior's builds get treated with a custom Wiseco piston yielding his design, as well as a Rekluse clutch. If you really focus, you can see the Wiseco piston through the cylinder (just kidding). Of course, in the entire recorded history of internal combustion, nobody has ever said, “Yeah, that’s good enough. Don’t add any more power…” While it’s certainly possible to enjoy a factory-stock 450 with a snow bike conversion, Jackson specializes in building bikes for competition and high performance recreational use. As you can imagine, there is a lot of tuning required for these high-horspower engines being used at high elevation. Junior prefers the GET ECU. 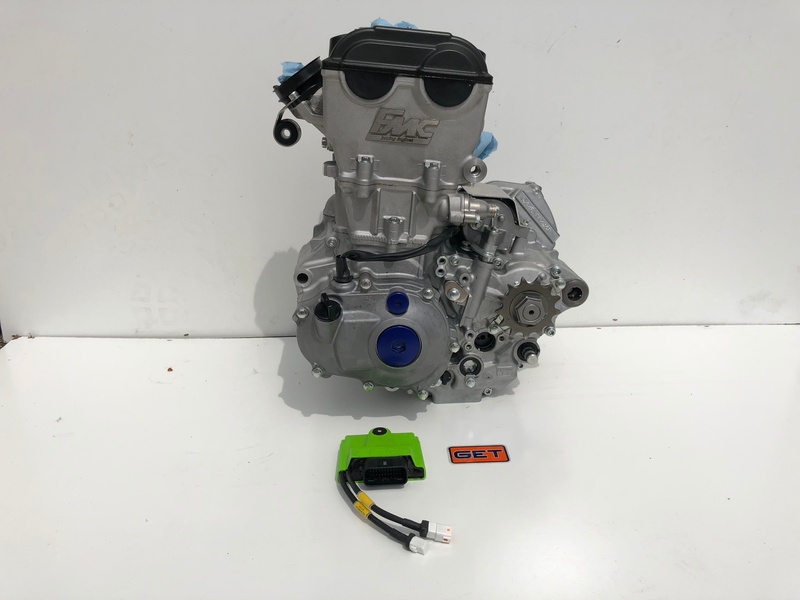 “We’ll run higher compression, do head porting, and use different intakes to accommodate the snow, plus a different exhaust and different cams… we are full-on building these motors,” Jackson adds. One big factor is the choice of pistons, and for that, Jackson relies on Wiseco for custom slugs designed to his specifications for compression ratio, compatibility with high-lift camshafts, and general durability. “Basically we are making big power on engines that are being run wide open all the time in deep snow so they need to be able to last,” Jackson continues. 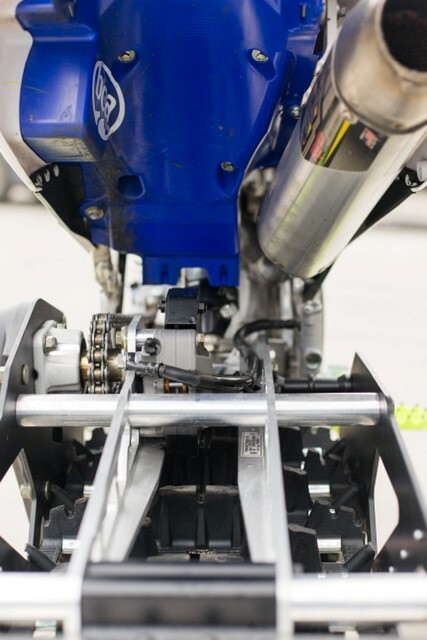 Unlike the typical motocross environment where throttle modulation to maintain traction loads and unloads the engine, a high-performance snow bike spends much more of its life at high load and high revs. “It has to be durable but still make the power,” he explains. Junior Jackson is a leader in the snow bike performance market. He puts in his research on all parts used, leaves not detail without attention. Whether you're racing or exploring the backwoods, he can build a set up that will not disappoint.